5675 - Bent Nose Hose Valves - Jay R. Smith MFG Co.
For installation on supply pipes 6" (150) to 36" (915) high in interior and exterior locations that are not subject to freezing. 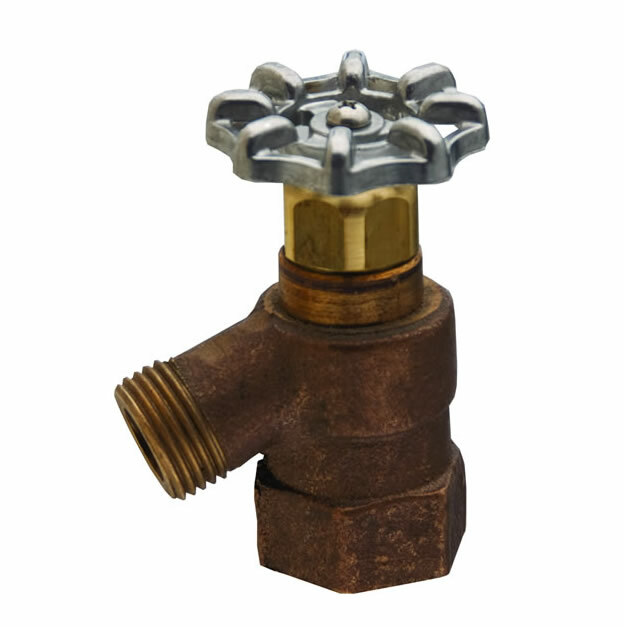 Valves close with the pressure and feature a replaceable cartridge which contains all wearing parts including the seat. Optional vacuum breaker prevents contamination of potable water supply and conforms to the requirements of ASSE Standard 1011. 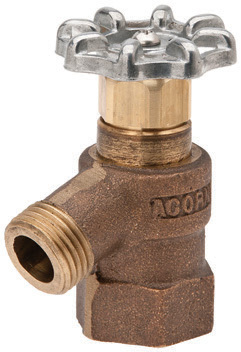 Hose Valves have a Rough Finish Brass Body with Machined Brass Vandal -Resistant Lock Shield Bonnet, Removable Wheel Handle, 3/4"(19) NPT Female Threaded Inlet and 3/4"(19) Hose Connection.